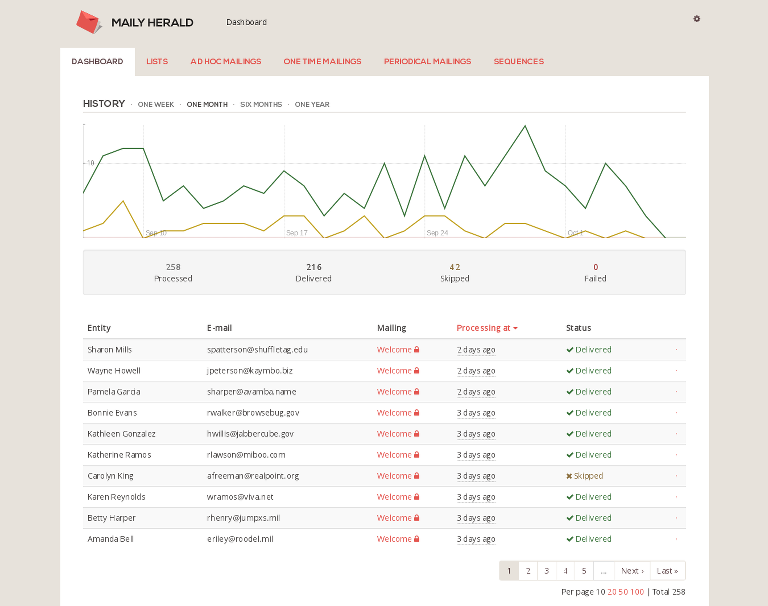 Maily Herald is a Ruby on Rails engine that helps you send and manage your mailings. 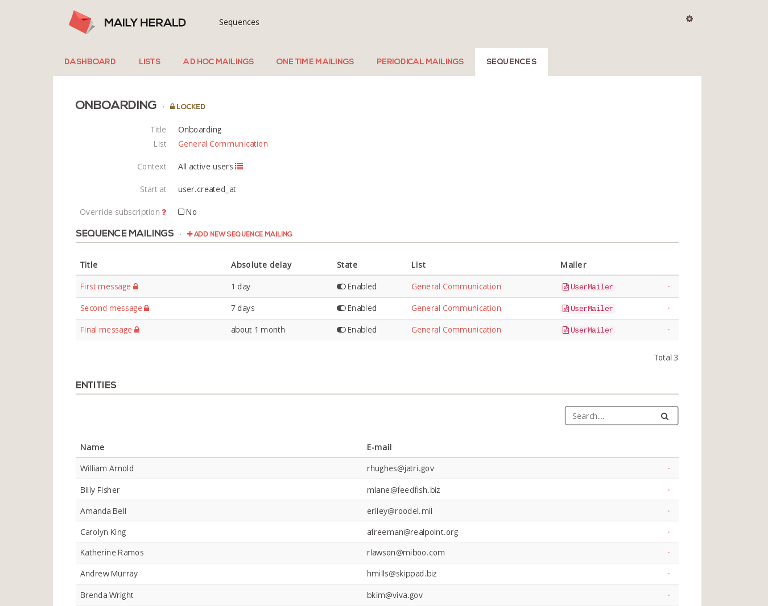 Think of Maily as a self-hosted Mailchimp® you can easily integrate with your site. Works with Amazon SES, Mandrill and other email delivery services. It’s plain good. What did you expect? Advanced message analytics, link tracking, email service integration and more. We won't spam you, promise. You can opt-out at any time. © Sology 2019, Initial development sponsored by Smart Language Apps Limited.